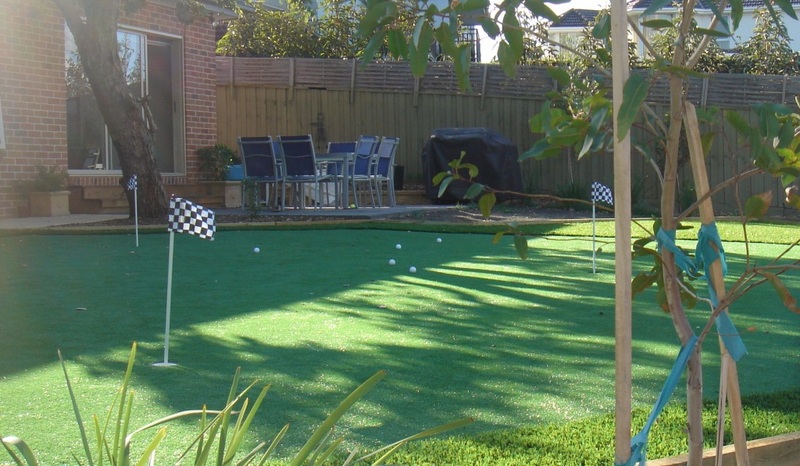 New generation synthetic golf grass made specifically for small backyard greens. Easy to install. Grass is weather and pet proof so you can play all-year round. Improve your putting stroke. Lower your handicap. Practise your chipping. You’ll spend hours on your putting green. I promise. The best present for any golfer. Almost zero maintenance. This new grass is incredible and requires only a few minutes per month. You can use a white-washed sand infill which is considerably cheaper than our Profill option. This grass can withstand constant use and still roll beautifully. Our DIY grass is guaranteed for 7 years. Our DIY grass is an amazing new product from Supreme Greens. It has been designed to be the simplest grass to install, while still offering an incredible putting surface. 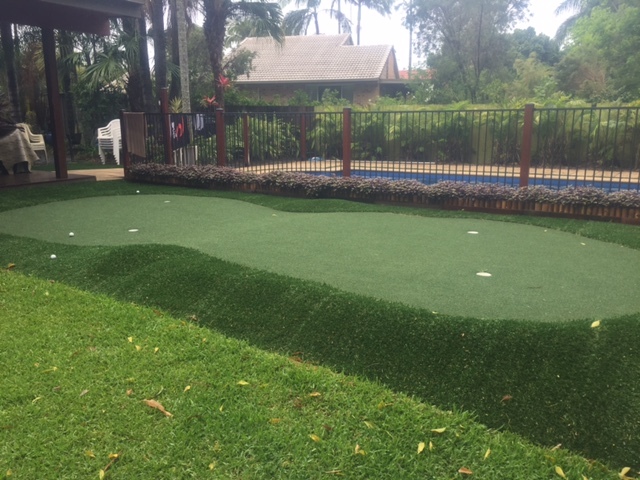 If you keep your design simple, you can have a fully functioning putting green in your backyard ready to go by the end of the weekend. This grass is easy to cut and simpler to join. And you can make a huge saving on the infill by obtaining a white washed sand from your local backyard supply store. With our regular grass you need 20kg of infill per square metre, with this new grass you require on 15kg. Please note: We supply all over Australia. If you have any questions then please contact us to learn more. And you can see my new set-up here. Q.What is this grass all about? A.This is a brand new offering from Supreme Greens (we call it DIY Grass) and it has been created to help all golfers get their own backyard synthetic golf green. The grass performs exceptionally well but is also way easier to install. For starters, you require less infill (less work and cost) and the grass is simpler to cut and join. A.We ship all over Australia. Essentially, if you have an address we can get our grass to you. Q.Can I pick up grass from warehouse? A.Yes, if you’re in Melbourne you can pick up. Q.Do I need joining tape? A.Only if you’re joining fringe grass to the green or you have a join in your design. Q.What width does the grass come in? A.Grass is 3.66m wide. We recommend keeping your design width to a multiple of 3.66. This cuts down on cutting and makes your life really simple. Q.What base do I need? A.With this DIY grass you can use a crusher dust or river sand. A.No. You can use a locally sourced white washed sand. This sand is much cheaper than Profill and you’ll pay way less for freight too. Profill has been a deal breaker for many orders and one reason we created a grass that has been designed to be used with a white sand. Q.How hard is it to self-install? A.It helps if you’ve got someone handy. If you’ve never held a hammer and aren’t comfortable working outside, then DIY probably isn’t for you. But if you’re the handy type (or know someone who is) then the install isn’t overly hard. Just keep the design basic and you won’t have too many issues. We also supply a DIY guide once order has been processed. A.This was always my concern with synthetic. And let me tell you, this DIY grass is amazing. I have tested 3 separate greens and they are all awesome. The ball rolls nicely and will even take chip and pitch shots. A.This DIY grass is guaranteed for 7 years.